Great home or investment opportunity. Long term tenants. 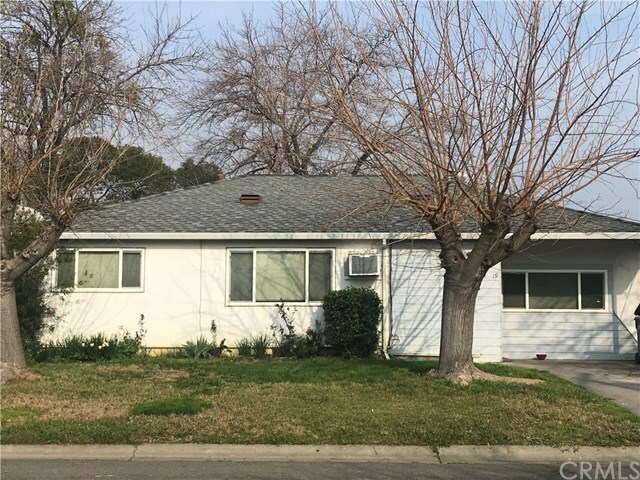 This home consists of 3 bedrooms, 1 bathroom, large living room, updated galley kitchen with nook space for table, large laundry room and huge bonus room that could be used as a family room or entertainment room. 1,357 square feet of inside living space. Sliding glass doors off the kitchen makes a great access to the backyard. Large cement patio in the backyard. Nice storage shed/building in the backyard. Dual windows throughout the whole house. Gas wall heater and window air conditioning seems to keep the house comfortable during the winter and summer seasons. No garage. Close walking distance to parks, school, hospital, and bus stop. Buyer to verify all information to their satisfaction. Directions: S Villa St go West on Sunset Dr.